Do you want to have a koi pond but don’t have lawn space outside to build your koi pond? You can still build a koi pond indoors. There are much cool designs you can choose just search at google image. Having indoor koi pond is the best choice for koi keepers that live in cold climate areas. For koi owners in temperamental climates, indoor ponds offer peace of mind, especially for long winters. Also, indoor koi pond is best for koi keepers that live in an urban area that doesn’t have enough space to build an outdoor koi pond. indoor koi pond tends to be smaller so it is important that the water levels are correct. Otherwise, the strong pressure could make your koi fish sick or could even be fatal. Install a high-quality water pump and koi pond filter to help keep water levels and pressure safely. I recommend using airlift pump it serves as a protein skimmer too. The efficient filtration should be able to pump the entire koi pond volume of water through the filter in one hour The smaller size of indoor koi pond also affects the water and gas exchange. And koi fish need plenty of dissolved oxygen in the water. So my advice is to use diy airlift pump it serves a dual purpose. Airlift pump can lift water and aerate the water at the same time. Koi fish don’t need to rise to the surface to breathe oxygen. You need also to install a drain in the koi pond. You can also buy a cheap add-on bottom drain to the place at the bottom of the indoor koi pond indoor koi pond will build up humidity inside your home. This can be a good therapy for those who suffer from cold and dry winter climates. If added humidity is not for you, install a fan to circulate the humidity throughout the house to fix it. You can also add to try a dehumidifier. You can add lighting to your indoor koi pond Koi fish do better in natural lighting it can bring out their natural beautiful colors. Many koi keepers who take the indoor koi pond add picture windows or other means to allow natural light into the home. You can also install incandescent lighting with UVA and UVB bulbs. These will also help any koi pond plants to grow. You also need to keep an eye for any indoor koi pond leaks. Leaks inside a home can cause plenty of damage, so it’s best to always catch them early Find for pooling water on the floor by the koi pond or any other odd moisture. 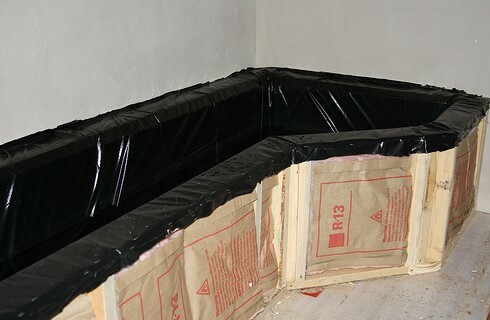 Cheap leak detectors can provide some peace of mind once installed. You can also check out my koi pond construction guide article as your guide on how to build koi pond Do you have an indoor koi pond? Send us a photo via our contact form! WELCOME TO KIM’S PONDS. Kim’s D.I.Y. pond kits come complete with everything you need to create a beautiful water garden, in about an hour, without ever lifting a shovel. Available in sizes from small to large you can build a patio pond and water garden, install a fish pond on your deck, or add tranquility with water features in a garden or yard pond! 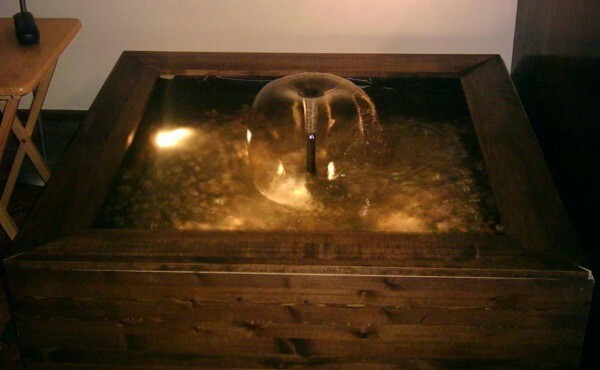 Build the ultimate indoor pond for Goldfish or Koi with any of Kim’s above ground pond kits. Build a Koi Pond with Kim’s partial in ground pond kit. 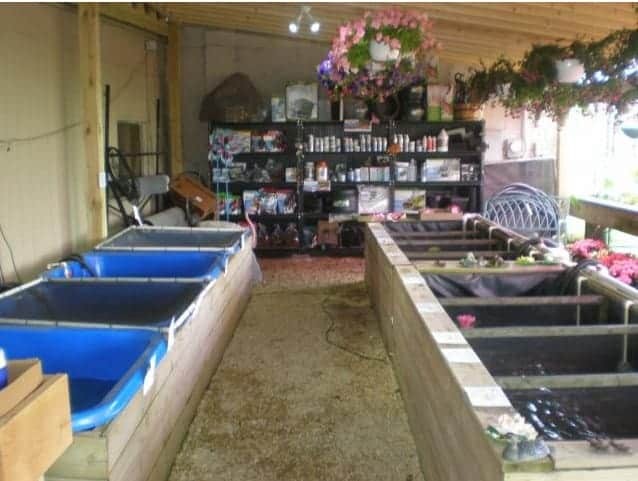 Beginning with Kims’ first pond built for her autistic son Zachary’s growing pet Koi, a fish called Molly; Kim wanted to create pond kits that anyone could easily set-up themselves. Today over 1,000 pond enthusiasts across Canada and the USA have enjoyed the super easy setup, low maintenance, strength, and beauty of Kim’s elegant handcrafted artisan built ponds! Pre-built, then boxed and shipped to your location, you simply re-assemble and add water. We invite you to explore our website to find a pond sized to fit into your space, and built to meet your needs. Koi grow quickly and get very large. Keep mature koi in an outdoor pond of at least 3 feet deep, with at least 50 gallons of water per fish. Can koi fish live in a tank? Koi are cold water pond fish, descended from carp. … Keep koi in large aquariums for a few months at a time. If you live in an apartments, you may have to keep koi in aquariums for their entire life. That is possible, as long as you do not overcrowd the aquarium with too many koi. In northern locations with extreme winters, some people opt to bring their koi indoors for the winter. Although koi and goldfish can survive harsh winter conditions, if you have relatively few koi, or if you have a large tank inside to house your fish, you might want to consider bringing your fish inside. What size tank do koi need? This is the approximate number of fish of a given size you can keep safely in the tank. So, if our 125-gallon tank will hold 1.25 12-inch koi, then it will hold 11 6-inch koi (1.25 X 9 = 11). It is essential to realize that as the koi grow, you will have to remove fish from the tank to maintain the proper load balance. Can you keep koi indoors? Keeping Koi Fish Indoors. Koi fish thrive in outdoor conditions, making koi ponds the preferred area; however, for some enthusiasts an outdoor koi pond is impractical or impossible. .. . Much like outdoor koi ponds, indoor koi tanks have some special considerations to take into account. Q: We’ve been keeping our fish indoors for the winter and have filtration. Do we need to use any chemicals? Shiela – Norton, VA A: No doubt your finned friends are enjoying the cozy indoors during the chilly winter season. With your tank’s filtration system turned on, you’re mechanically cleaning the fishes’ aquatic abode – which is a great first step – but there are a few more things you can do to make their stay inside a pleasant one. Here’s what we recommend. Asian-style interiors instantly evoke an image of serenity and tranquil calm. 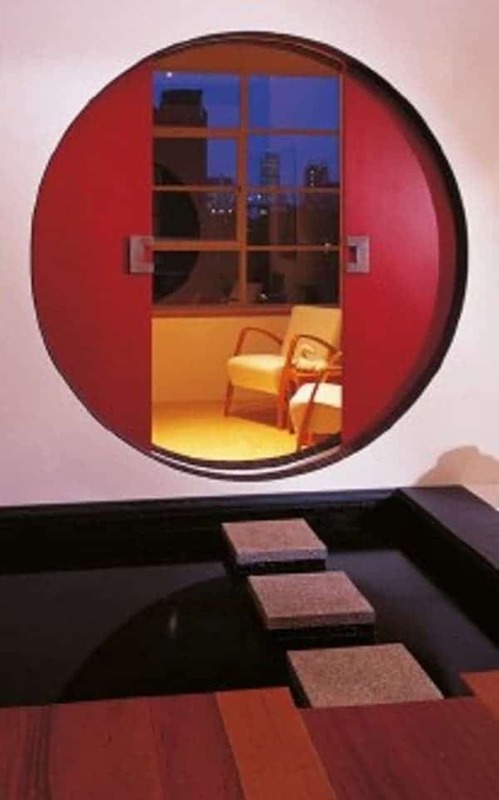 indoor fish pond Open MenuLow Cost Indoor Pond by drum303 Step 1: Initial Design Decide where you will put your pond, and how big you want it to be. I chose to make mine 4′ X 4′. The actual frame is 16″ tall, but the water is only 8″ deep, and raised up 8″. One thing to consider is that 1 gallon of water weighs about 8 pounds. Here is a link to a good pond calculator. My pond holds about 70 gallons (560 pounds). 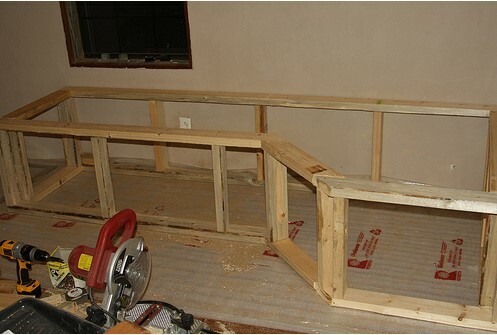 If you place your pond on an upper level of your house, you should try to place it along a load bearing wall. A larger pond should be placed on the ground floor. Please make sure your floor will be able to hold your pond. Nobody can be held responsible for any catastrophies but you. Do your homework. This link is a good place to start. FYI, a waterbed holds ALOT more water than this! leanr more here https://www.instructables.com/id/Low-Cost-Indoor-Pond/ koi fish care indoor Koi grow quickly and get very large. Keep mature koi in an outdoor pond of at least 3 feet deep, with at least 50 gallons of water per fish Young koi can be kept indoors in an aquarium of at least 29 gallons. Put the aquarium in a quiet area out of direct sunlight and drafts. What size tank do koi need? This is the approximate number of fish of a given size you can keep safely in the tank. So, if our 125-gallon tank will hold 1.25 12-inch koi, then it will hold 11 6-inch koi (1.25 X 9 = 11). It is essential to realize that as the koi grow, you will have to remove fish from the tank to maintain the proper load balance. koi fish indoors Should I bring my koi inside for the winter? In northern locations with extreme winters, some people opt to bring their koi indoors for the winter. Although koi and goldfish can survive harsh winter conditions, if you have relatively few koi, or if you have a large tank inside to house your fish, you might want to consider bringing your fish inside. How do you keep koi alive in the winter? The snow, ice, and surrounding earth will help insulate your pond from the frigid air. De-Icer: If your pond threatens to freeze completely, you may need to install a de-icer to keep at least part of the water above freezing. Your fish will need a few feet of liquid water in the pond throughout the winter. 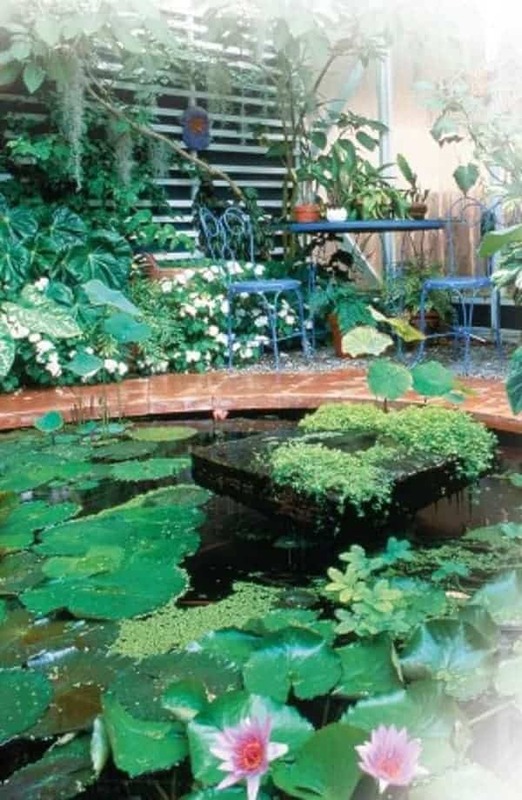 Achieving healthy plant growth in an indoor pond, such as this well-established conservatory pool, may need overhead lighting to maintain the plants through the winter, especially in temperate areas. Extra heating may also be necessary, depending on the plant species you choose to grow. Always seek professional advice if you wish to build a large indoor pond. Provide adequate ventilation to prevent condensation problems and mold growth. Incorporate a means of draining the pond with no risk of flooding the area. Can you keep butterfly koi in a tank? Obtain an aquarium that is large enough to contain the number of koi you have. Koi need a large volume tank to thrive.